The most obvious benefit of hiring party tents for a birthday or graduation party is the sheer size of the venue. Your guests will experience a sense of scale when they step into your party tent or marquee, because of the way the large roof interior draws your eyes upward. This gives your party atmosphere a sense of grandeur by making your guests feel as though they are in a large hall or a function room. Plus if your event starts in the daytime, you benefit from allowing large amounts of natural light in through the roof of a marquee tent, which illuminates the whole interior of your party venue. Some party marquees even have windows in the sides and the option of opening up one end completely, thus allowing more fresh air in, if sunny weather makes it too hot inside. Having such a large entrance, in turn helps give off a welcoming feeling to your guests. Party marquee tents and marquees offer the most amount of customisation as far as choice of layout and what furniture and fixtures you have at your party. If you need staging for a band or DJ equipment, or a dance-floor area for guests or entertainers, this isn’t a problem. This freedom to create a unique party atmosphere allows themed party organisers to go wild when designing interiors and backdrops for your event. With the added benefit of party tents not needing internal supports and poles, party theme designers and planners get a blank canvas to work from. Choosing to put bars, dance-floors, staging, cloakroom areas and dining furniture exactly where you want them, some party marquee planning professionals could quite easily re-create a feeling of being in a nightclub, with disco lights and smoke FX. Most things that you can think of that you need at your party, can be either bought or hired, such as stage lighting, audio PA systems to video displays and licensed bars. The same can be said for furnishing, such as lounge seating for chill out areas and children’s play areas for younger guests at family gatherings. Depending on the size of the party tent you require and they come in various sizes, up to the kind that rock-groups use at Glastonbury, you will usually be able to find party tent hire companies that offer event management as well. 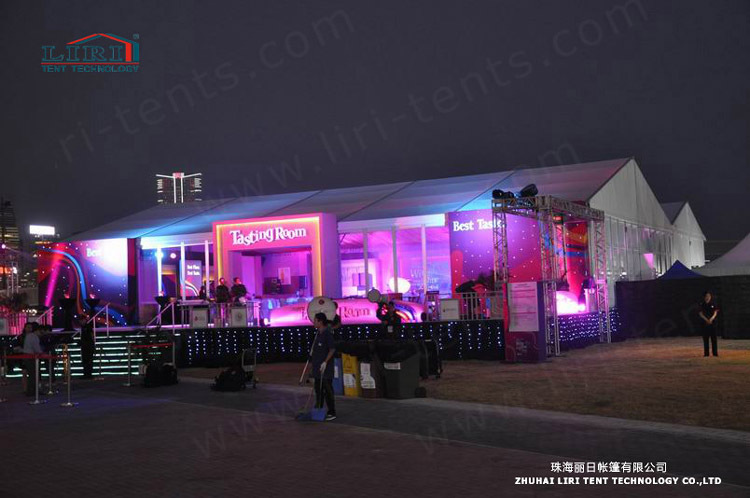 Organising party tent events can be big business and requires a lot of hours of hard work, planning and searching for party equipment and entertainment hire companies. So by getting some else to organise your party tent event, you can concentrate on choosing what to wear and exactly who to invite.